In 2016, many webmasters reported negative changes in their search rankings and a manual penalty regarding something called “unnatural links”. This article will guide you through what unnatural links are, what to do if you’ve received a Google penalty, and how to prevent further penalties and starting ranking in Google again. Per Google, unnatural links are any links which weren’t placed editorially by the webmaster or site owner. That is, links that do not indicate quality. When someone finds a page truly helpful, they will link to it without coercion, subterfuge (inside of a widget, for example), pay, or other compensation. Sometimes these links are obvious and sometimes they are not. Examples include advertorials, links on “Our sponsor” pages, and hyperlinks in link networks. Google works by constantly scanning your website for search relevancy factors, such as meta data, keywords, the social popularity of the page. Google takes this data, runs it through algorithms, and indexes your site as relevant to specific user searches. When Google notices something is unnatural, such as a socially irrelevant blog getting links on too many sites, it’ll flag you with the unnatural link penalty. Unnatural inbound links happen even to those practicing “white hat” SEO, such as frequent guest posting and inclusion in a link directory. Getting linked to used to be a way to raise your Google PageRank. 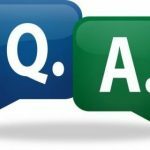 The Google Unnatural Links Penalty exists to give webmasters a chance to correct their links via removal or “no follow” tag so that it isn’t indexed by Google and page rank isn’t affected by the link. Failure to do so will result in Google refusing to trust your site altogether. If you want to avoid a manual penalty, then you’ll want to check your site for the following penalties as soon as possible. 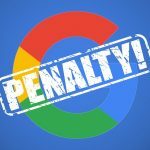 A Google manual action penalty is a penalty found on the Manual Actions of your analytics portal. The penalty means that Google detected a pattern of unnatural outbound links, some of which may have violated Google’s Webmaster Guidelines. The Google Penguin penalty is an algorithmic one, which means that the penalty causes decreased search engine traffic thanks to lowered visibility. The penalty directly affects those whose websites show signs of using link schemes. A Google Panda Penalty occurs as a result of the Panda algorithm changes in 2011. The update looked for thin SEO, duplicate content, evidence of content “scraping”, a high ad ratio, and low value pages. Thin SEO content is site content which fails to provide real value and instead contributes more noise than anything else. Some signs of thin SEO content are numerous posts comprised of 250 words or fewer, content which is ad heavy, the overuse of keywords (“keyword stuffing”), and content which contains too many internal links. Duplicate content is text that can be found internally or externally which is exactly or nearly exactly like what is found on your site. Article syndication is an example of duplicate content. Someone stealing your content and posting it on their site is another example of duplicate content. Google knows that mobile search is the future of search and thus penalizes those whose site isn’t mobile-friendly. Google continually updates its algorithms to increase the quality of results served to users. Here are some of the latest updates. The Google “Penguin” update was released in April 2012. The changes were implemented to catch sites that were perceived by Google to be spamming search results by buying links or using link networks to increase a website’s ranking in search results, also known as link schemes. Google buried affected sites further down in search results. The Google “Payday Loan” update was first released in 2013 and was so named because of the type site it affected most. The update targeted highly spammed search engine results. It also targeted bad queries such as those created by pornographic, payday loan, or casino websites. The Google Mobile friendly algorithm update was implemented in 2016 and targeted websites that aren’t mobile-friendly. If you’re a webmaster affected, you’ll see loss in Page Rank. Google released new mobile guidelines that help you create websites that are smartphone and tablet friendly. The Google Hummingbird update was implemented in 2010. The hummingbird algorithm changed how Google indexes websites altogether. The update added to the factors that Google looks for when it determines relevancy. The Google Panda update was implemented in February 2011 with a global rollout in April 2011. The new algorithms targeted websites whose content was perceived as “thin” and thus spammed search results. Scrapers and content spinners were specifically targeted. The goal of the update was to push lower-quality websites further down the search results and push high quality websites up. The Google Pigeon update was implemented in July 2014. The Pigeon algorithm changes affected local search results. The changes affected the search results shown in Google Maps as well. 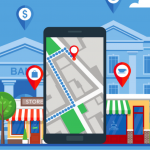 The algorithms used the user’s location to determine which local directory to use. Users searching for local businesses require highly relevant results and the Pigeon update aimed to deliver it. The Google EMD update was a search filter implemented in 2012. It kept sites from ranking highly only because their domain was an exact search result match. This increased the quality of search results and reduced the ability to rank highly solely due to keyword stuffing. Google released it’s “Pirate Update” in August 2012. The new algorithm is a filter which was designed to keep sites with DMCA and other copywright infringement reports from ranking in Google’s search results. Affected sites see a marked drop in search engine visibility. There are many google penguin and manual penalty checker tools out there. One such tool is by FE International. Just enter your site and the database to get nearly instant results. Thin content is a big deal to Google. To check for thin content, here’s a tool by Rob Hammond. You’ll need a list of links or a sitemap in order to make it work. Want to check for “unnatural links” the way Google does? 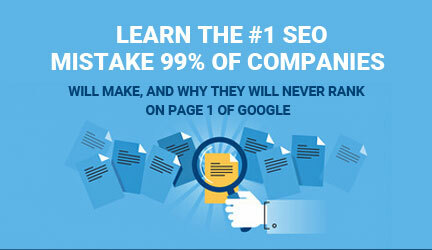 Try SEO Spyglass. 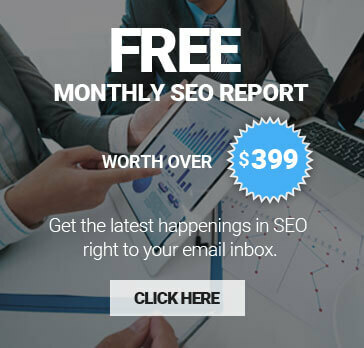 It’s a free tool inside of SEO Power Suite that performs a deep link quality analysis so you always stay in line with Google’s algorithm changes. To fix a Google manual penalty, you’ll almost always need to use the disavow tool. The Google disavow tool is found in the webmaster portal. The link to the disavow tools is here. You must sign into your Google account in order to access it. Backlinks can happen without your input, so it’s important to monitor them on a regular basis. One tool to keep tabs on your incoming links is SEO Power Suite. The suite contains four separate tools: Rank Tracker, SEO SpyGlass, WebSite Auditor, and LinkAssistant. LinkAssistant gives you backlink reports, a listing of sites in your industry to rank on. You’ll also get an easy-to-use dashboard to monitor links for SEO value and the anchor text, so you won’t get hit by Google penalties. You can also email webmasters right from the dashboard. In a manual penalty, you are flagged manually by Google. You have the option to fix the issue and ask for a reconsideration very quickly. An algorithmic penalty is a hit to your rank by the search algorithm. Even if you fix the low rank issues caused by the algorithm, you have to wait until the next algorithm update in order for the penalty to be lifted. The website auditor is a tool you can use to edit your site for backlinks. It works by crawling your site just like a search engine does to identify the same issues that Google will. Aside from setting links to “no follow”, the best way to address a backlink penalty is to disavow links. When you disavow a link, you’re telling Google not to index it. The link to the disavow file is here. In order to use it, you have to list each link and the actions you took to address them, such as contacting the webmaster. 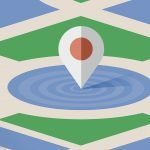 To submit a reconsideration request, you’ll have to have addressed the issues Google spotted and take action. This includes disavowing links and removing bad outbound links. You can find the steps in your webmaster search console. To send a link removal request, you’ll need to contact the webmasters of the offending site. Your job is to ask them to either remove the link or make the link a no follow link so it’s not indexed by Google. It helps if you send the request from the same domain as your site (e.g., @domainname.com), if you explain the situation and which links on which pages you need them to address, and include a timeline for getting the job done (such as 48 hours). Just keeping your website up and running is a hard enough job. Experts stay on top of the changes so you don’t have to. Why use a service to fix seo penguin penalty? SEO experts spend their time staying up-to-date on the latest trends and strategies involved in proper SEO and Google penalty recovery. They know how to fix SEO and penguin penalties and get your site indexed and ranking organically in Google again. 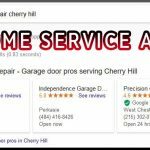 Google penalty removal and recovery services first involves an analysis of your site. This includes your backlinks. Then, we’ll address any complaints from Google and begin work on removing bad backlinks and then disavowing ones which can’t be removed. Once you recover from a Google Penguin or Panda recovery, you will see immediate changes to your Page Rank if the penalty is what caused the loss in search engine visibility. This is because in September 2016 Google announced that the Google Penguin is now part of the core algorithm and thus websites will be evaluated in real-time and will increase or decrease in rankings in immediate response to changes. Since your page rank is affected by numerous factors, removing penalties alone may not be enough to raise your Page Rank. To avoid future Google penalty slaps, it’s important that you stay on top of your website’s SEO. Remember that Google’s job is to increase search result relevancy and relevant, quality content is original, unique, shareable, and easy to navigate. Finally, monitor your website’s backlinks and overall SEO on a regular basis to stay on top of algorithm changes. This way you can catch issues and avoid Google penalty recovery services altogether.